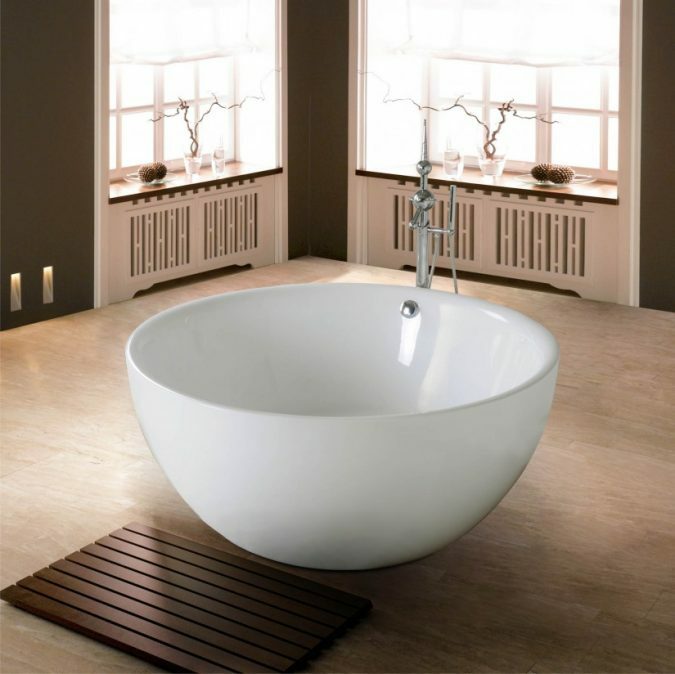 Everyone loves taking care of their homes’ little details, but there are few people that actually pay more attention to their bathrooms. 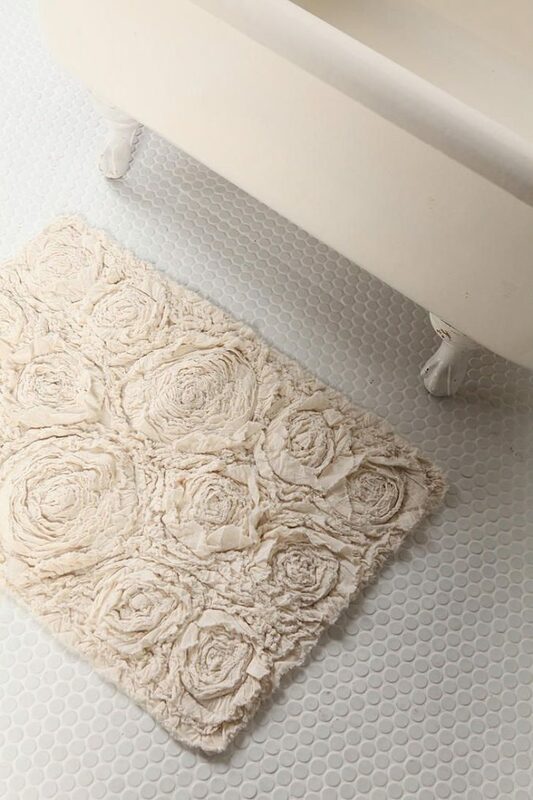 Among the essentials of your bathroom should be the non-slippery rugs; they help add charming touch to the bathroom decoration, but most importantly they save you from unfortunate slipping accident that might occur. 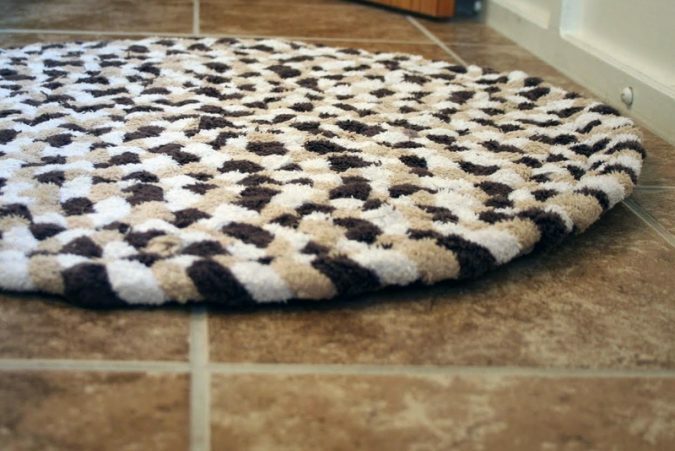 As a matter of fact these rugs are not costly at all, but still, you can create your own bathroom mats with the easiest ways possible using tools commonly exist in homes. 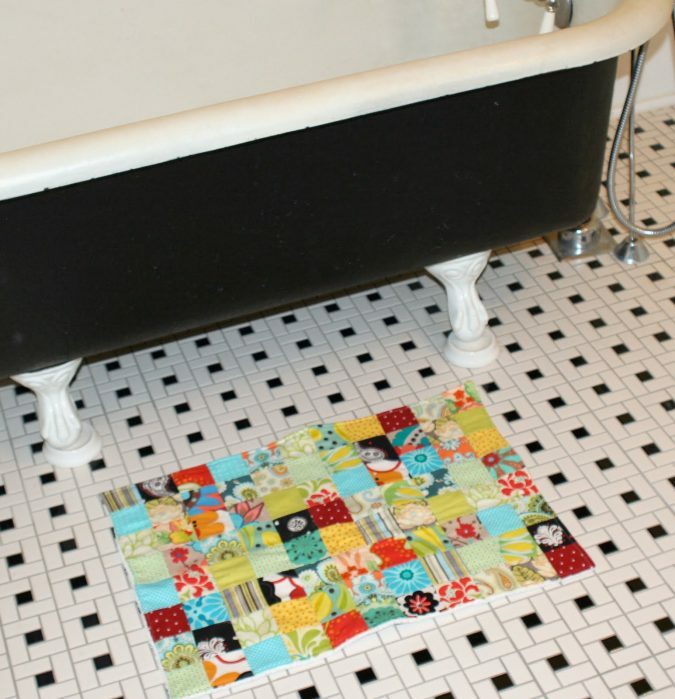 Check out this list of some easy DIY bathroom rugs. 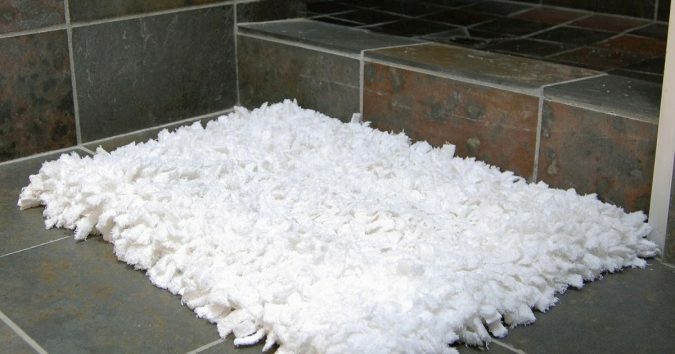 The pom-pom rug is easy to do, however it might consume longer time than you expect, but it is worth it. 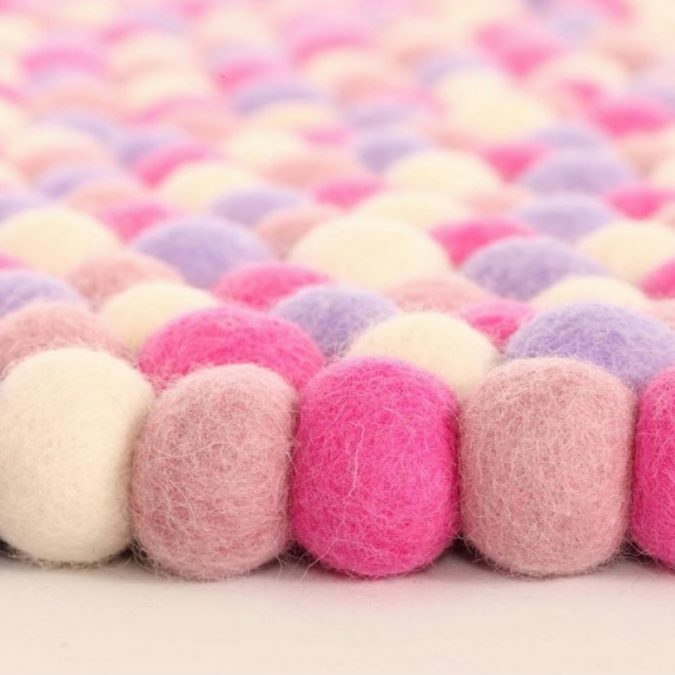 First, form a good amount of woolen balls, then get a piece of cloth and sew the woolen balls to it. 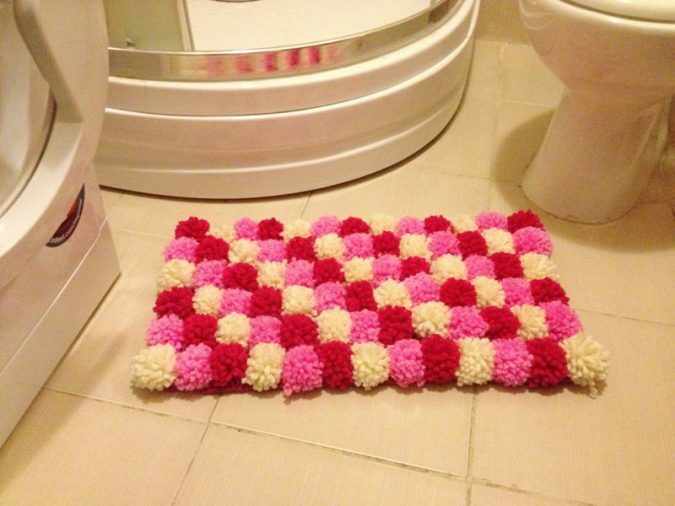 It might be a bit exhausted but easy; and the production is cool and inexpensive bath rug. 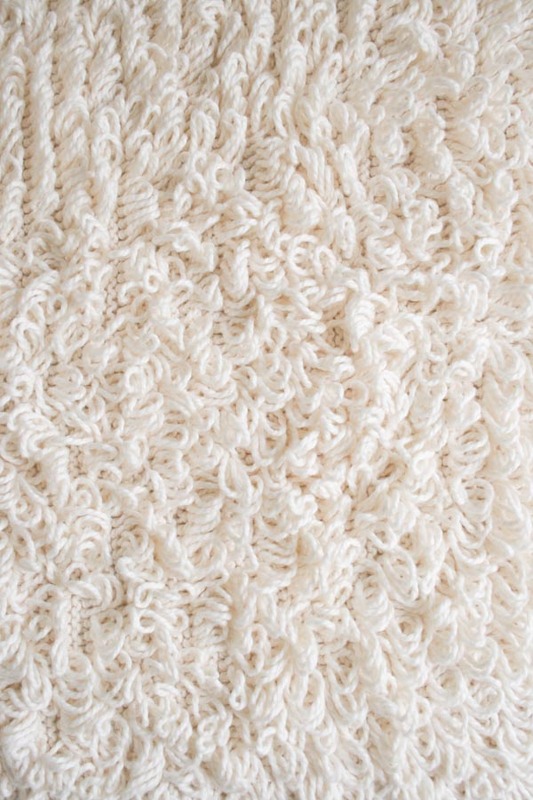 If you are enthusiastic about knitting, then this rug is truly an easy venture for you. All you need to do is to keep intermingling the threads over your middle finger forming wide loops. You will have to sew the ends of each thread to keep the mat frame from detaching. Now your feet can enjoy a delightful fluffy feeling. 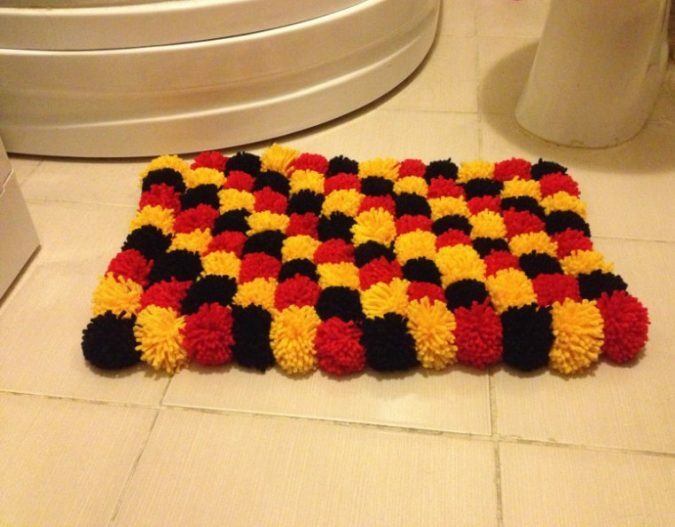 Here is one more beautiful rug to create on your own. 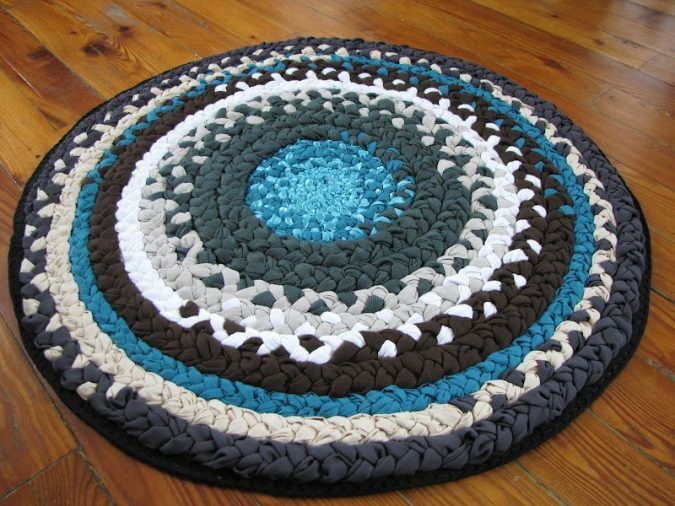 To form this shape, you need to find three old towels, preferably in different colors, then cut them into strips and Stitch their edges together, then braid them. When you are done braiding the first three strips, grab some more and repeat the same process. After you are done with braiding all the strips, sew both edges of the braided strips together until you form a long rope. 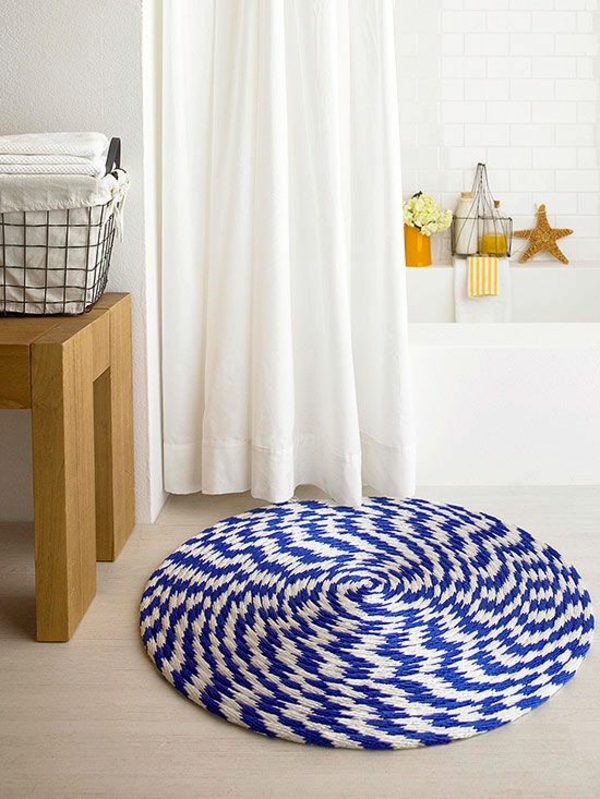 After that, wind the long rope to form a spiral pattern; finally sew it in that position and enjoy your bathroom’s new mat. 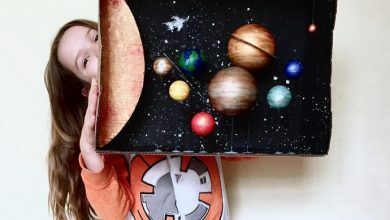 This easy creation requires just a pack of leftover cloths, old t-shirts and sheets that no longer used. 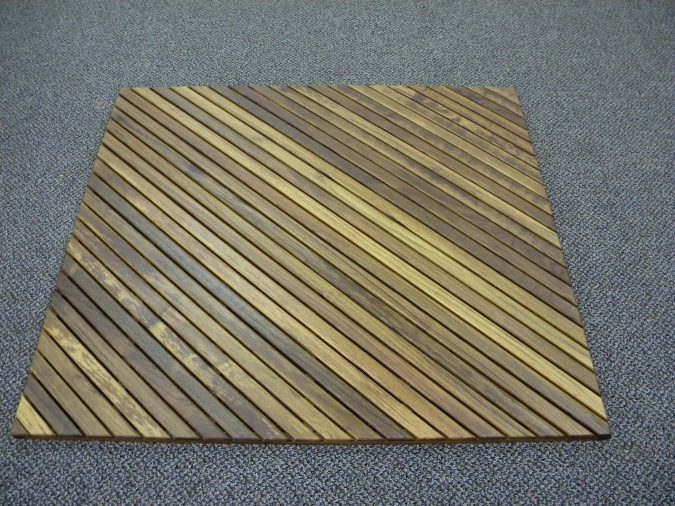 All you got to do is stitch together the spare materials that you have cut out then enjoy a soft mat. 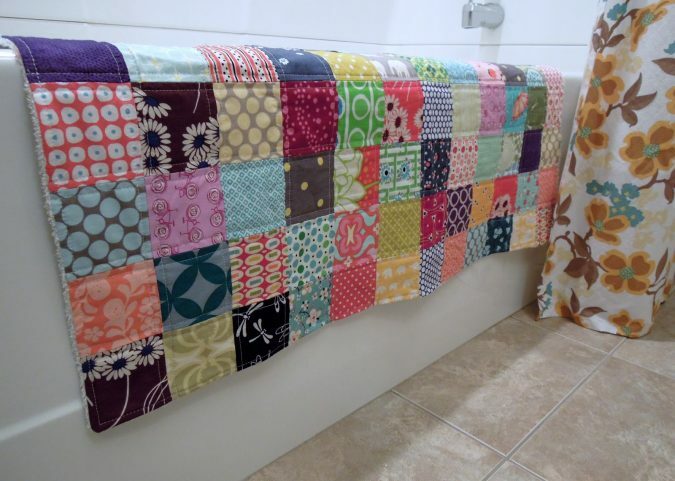 If you are keen on sewing quilts, then you will probably enjoy the process of producing this bright mat. 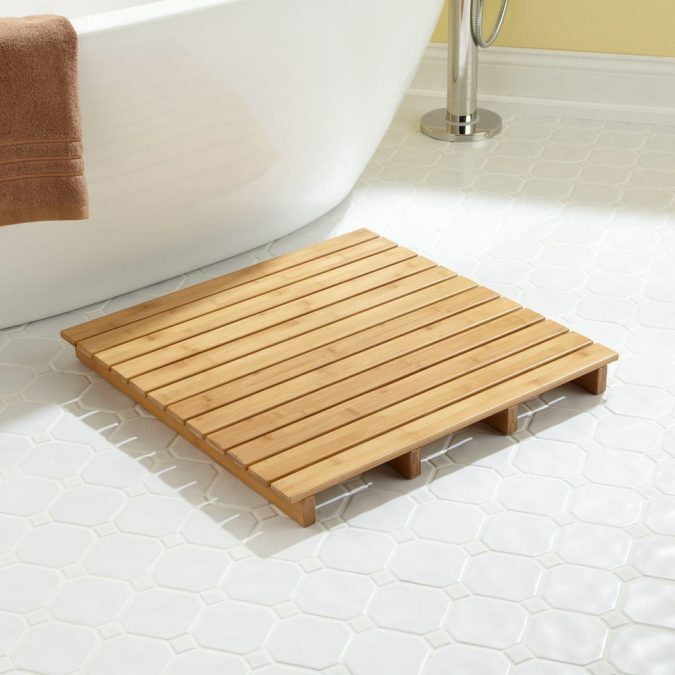 This rug might seem more complex than it really is, but actually all you need are some wooden square-shaped kits from any furniture workshop. 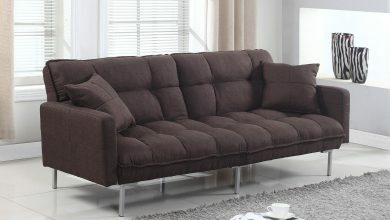 Choose the size you need, then attach the pieces together. 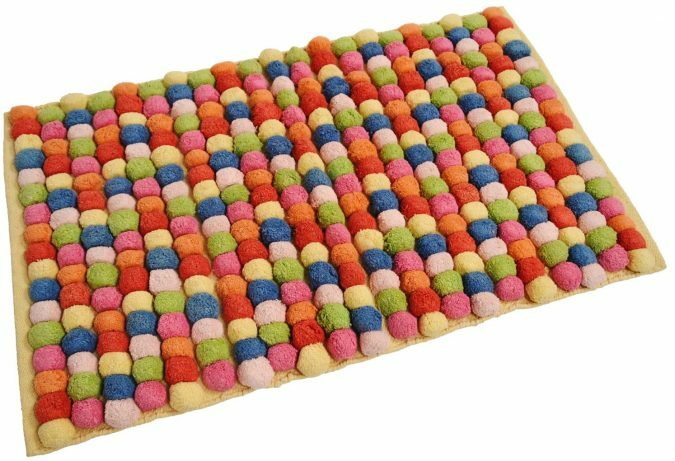 Here you go, enjoy your new bath mat. 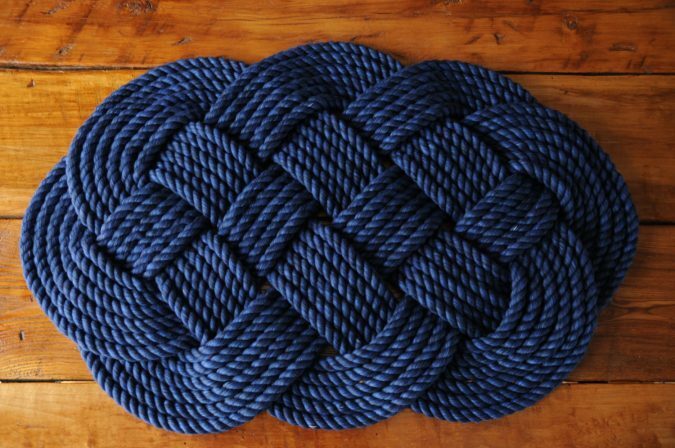 Another product simpler to make than it seems, is the aquatic rope rug. 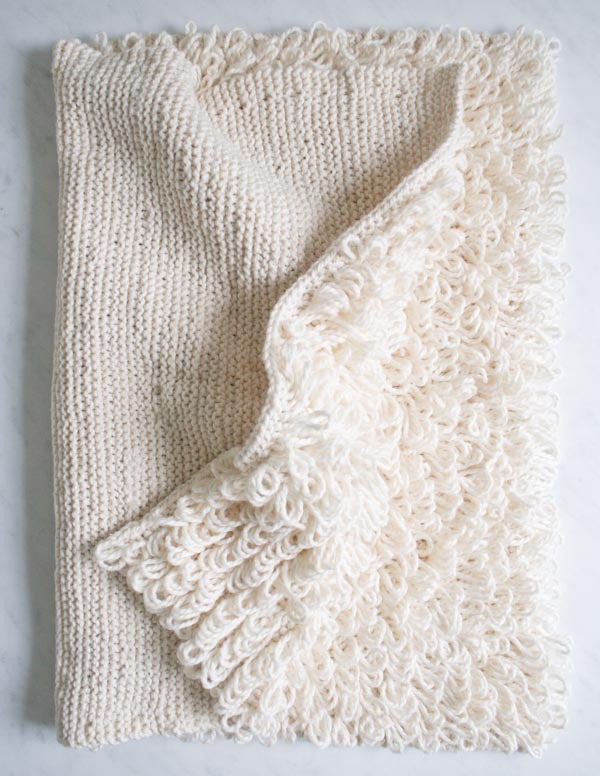 First, Knit eight ropes intersected in a criss-cross form, then stitch the ends together. 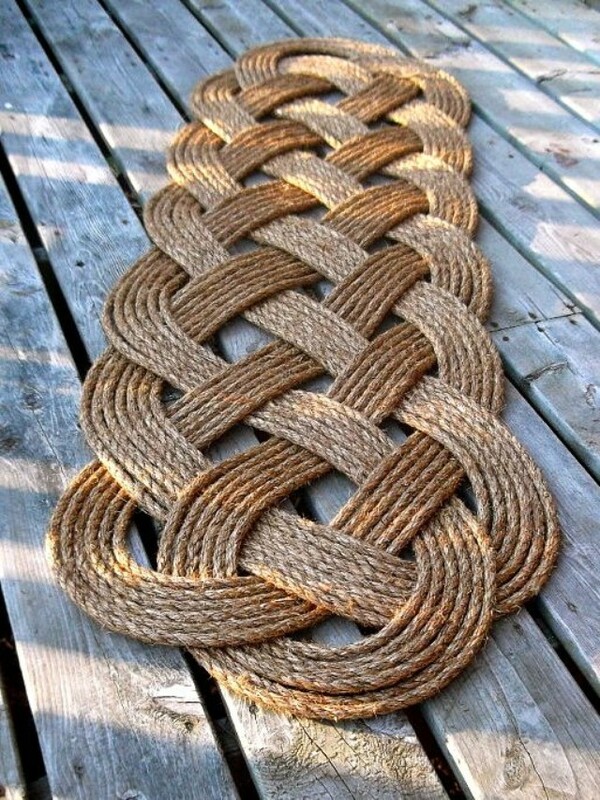 You better glue the ropes to each other, hence you keep the rug’s shape for longer time and avert it from getting rumpled due to the excess use.